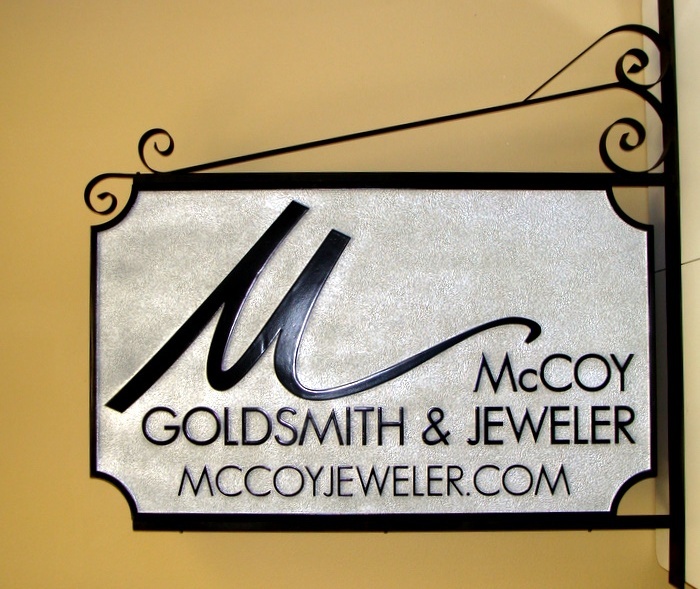 Above is a double face projecting sign carved from High Density Urethane (HDU) for the "McCoy Goldsmith and Jeweler"Company. The text is raised and border are raised and the background sandlasted in a sandstone texture. The sign was painted with long-lasting automotive-grade black and metallic silver enamels and clear-coated twice, making it suitable for all-weather outdoor use. To view many more retail and business signs in Gallery 28A, please click on "Return to List" below right.o List" below right.